Published on 17/08/2013 filed under Type Specimens & Fonts. Figure 1. Sample image of Dada typeface. Designed by Rasmus Lund Mathisen while undertaking an internship at Novo Typo in Amsterdam, Dada is a gorgeous example stencil typefaces. Dada was originally created as part of an alternative superfamily,it looks stunning in print work and it reminds me of the type currently being used by Coca Cola in their current campaign, only better. I really love the stencil like details on this typeface, with qualities that closely resemble brush strokes at varying contrasts. It would look great in situations where you want your content to convey that extra bit of class. 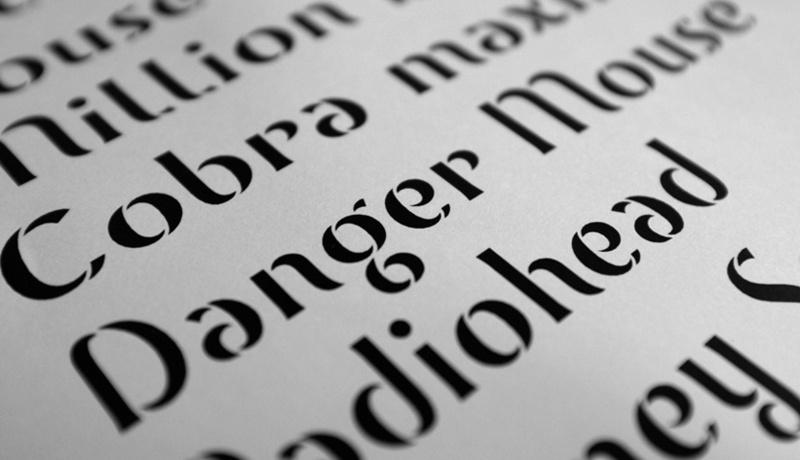 Type & Music provides meaningful craft enhancing knowledge on typography and the finest independent music recommendations for your listening pleasure. © 2019 Type & Music. Created by Phillip Patterson.